Germ-Eraser is an innovative Hand & Surface Wipe that is designed to protect people and technology from bacteria, viruses and mold. 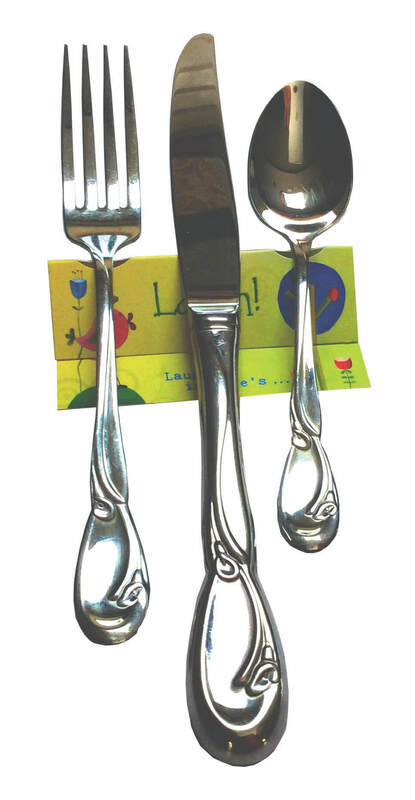 Ionic silver eliminates bacteria on the wipe so you always have a germ-free cloth ready to go. The wipes are бmade from EPA-_compliant silver fabric, and the anti-static properties help protect electronics. The wipes are free from alcohol or harmful chemicals. The process permanently bonds the silver to the fabric, therefore it never leaches out;the technology is designed to create a long-lasting, re-usable and washable product. Last week, Michigan-born Kooty Key launched on the crowd-funding site Kickstarter to help raise enough money to create the next generation Kooty Key, the Kooty Key 2.0 featuring a larger anti-microbial rubber surface and comfort finger cradles. As a traveling salesman, Kenneth Kolb of Clinton Township, was on the road most of the day where he routinely accessed public restrooms. Over the years he noticed how air blowers in restrooms were becoming more prevalent do to the focus on ecology. In the past, many people concerned with proper hygiene would dry their hands with the paper towel and then use it to grab the door handle of the restroom upon exiting, but with the trend of air blowers on the rise, this was becoming less of an option. One day—during the peak of the flu season he was standing at the sink washing his hands, watching people use the facilities and then immediately exit the restroom without washing their hands. At that moment, as he reached for his car keys, a thought was born—the Kooty Key! This little gadget attaches to your keys next to your hand sanitizer for easy access any time. The Kooty Key can be used on public door handles, toilet levers, ATM and checkout keypads, and more and can be cleaned with warm soapy water or alcohol. The Kooty Key reduces the spread of illness-causing germs that are picked up everyday on common surfaces. While the Original Kooty Key has been featured on Fox 2 and is now sold on Amazon as an Amazon Choice product, Ken, the creator of the Kooty Key, wants to bring the Kooty Key to the next level with the Kooty Key 2.0 offering a NEW, larger anti-microbial rubber surface and comfort finger cradles. You can back The Kooty Key 2.0 from now until Sat., June 24, 2017 on their Kickstarter page; with pledges starting at $5 for a virtual (germ-free) high five, $10 for the Original Kooty Key, $20 for the new Kooty Key 2.0, and a limited edition Chrome Kooty Key package with pledges of $250 or more! Don't Pluck Nose Hair! It can lead to a nasty infection. Did you know that plucking or trimming NOSE HAIR can be dangerous. "There’s an area on your face that the medical community has ominously named “the triangle of death.” The top point of the triangle is the bridge of your nose with the bottom of the triangle being above your upper lip. This area of your face is obviously close to your brain which makes getting infections in the triangle more dangerous than getting a cut on your knee. Not only is tweezing nose hairs incredible painful, it can leave the skin open from where you yanked the hair out. The hair in our nose is the first line of defense for filtering out the bad things we breathe in, so there’s plenty of germs trapped in there. The germs can then enter the body from the wound and cause an infection – staph, meningitis, etc. These scary bacteria can then infect the brain, leading to serious medical outcomes like paralysis or even death." The bottom line is DON'T PLUCK IN THE TRIANGLE. And don't pop pimples or pick your nose as either could leave your skin open to infection in vessels the feed the brain. Not a good situation. Kooty Key - ﻿A Neat Little Tool For Germaphobes. ​The Kooty Key is an innovative little tool developed by a lifetime traveling salesman. Since he was on the road most of the day he routinely accessed public restrooms, restaurants, banks, stores, etc. Over the years he noticed how air blowers in restrooms were becoming more prevalent do to the focus on ecology. Restrooms that have air blowers usually do not supply paper toweling as an alternative drying method. In the past many people concerned with proper hygiene would dry their hands with the paper towel and then use it to grab the door handle of the restroom upon exiting. One day—during the peak of the flu season he was standing at the sink washing his hands, watching people use the facilities and then immediately exit the restroom without hand washing or cleanup of any kind. He thought about how often he had struggled to find a method of grabbing the handle upon his exit without re-contaminating himself with the millions of germs residing on the door handle. At that moment as he reached for his car keys a thought was born—the Kooty Key! In addition to the door opening capabilities, the Kooty Key is equipped to help the user avoid touching other public devices such as various key pads on gas pumps, ATM’s, elevators, retail checkout payment pads, etc. The black rubber tip on the Kooty Key is designed to help you avoid touching these highly used public devices. The Kooty Key is an additional weapon in your daily arsenal to fight germ warfare. It’s light weight and made with a hardened plastic material that allows you to pull doors with various weight loads. It is made to fit on your key ring. As the Flu and Cold Season comes each year and germs continue to mutate we need to be equipped with all possible tools that allow us to stay focused on living a healthy life for not only ourselves, but our family, friends and co-workers. 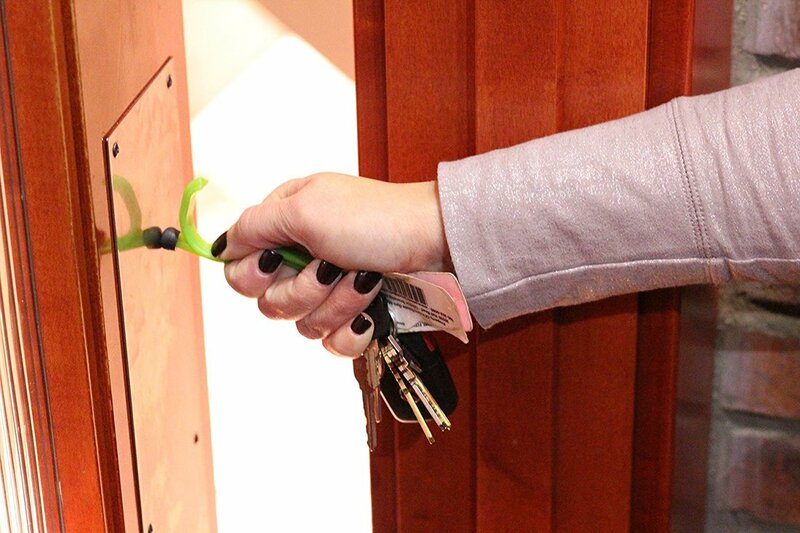 The Kooty Key is a low cost option to help battle against your daily exposure to germs. The Kooty Key can also be used as a handicap assist devise for the same purposes. It can allow those who do not have the ability to open doors, or find it is difficult to grip a door the freedom to now open that door. It also allows individuals who don’t have the ability to point or push buttons the ability to push key pad buttons. Also, if you are on crutches or walker of any sort, it can allow you to hold a shopping bag or any looped handled bag while maintain full control of your crutches.